This is a great Nurse Piece. 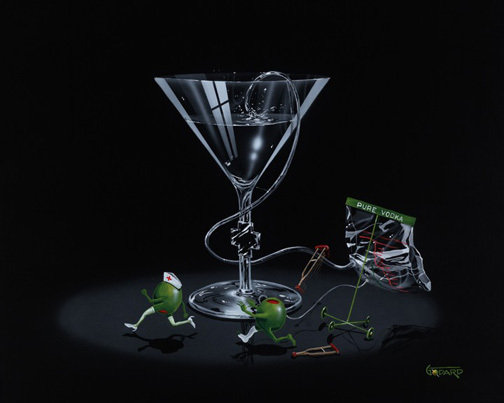 I painted the Red Cross in the middle of the Martini Glass, the I.V. is Pure Vodka. The Girl Olive with pimento down low and the guy olive is chasing after the nurse. I hope the Nurse is naughty.